I have just finished posting my latest watercolor (watercolour) landscape demonstration. It is of the Grose River which runs through the Blue Mountains on the edge of Sydney, Australia. This location is very close to my home. 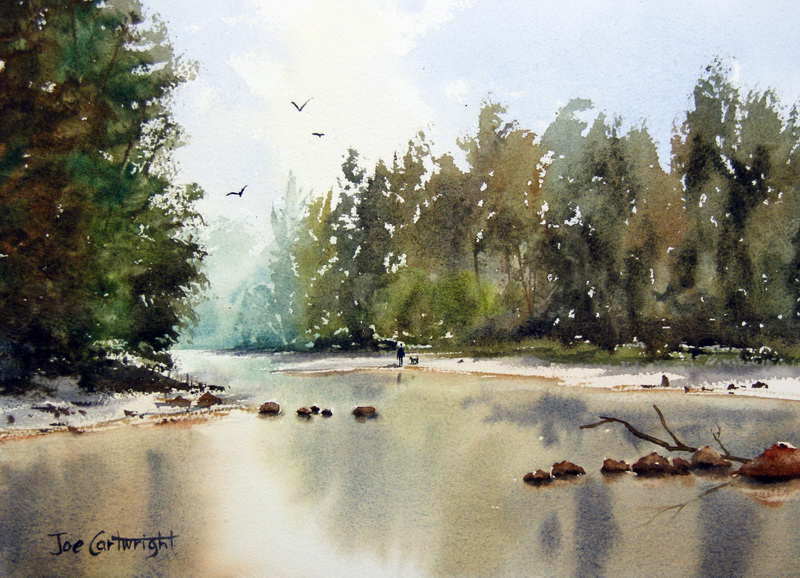 The demonstration covers a range of watercolor painting techniques which include painting skies and clouds, how to paint water, reflections and masses of trees and shrubs. It also discusses how you can use a fan brush to paint certain type of trees.